Are you on the fence about whether or not you should hire a corporate lawyer in Edmonton, Canada? Read on to learn why you should hire a corporate lawyer. When most people launch a business they focus on the financial, marketing, and staffing matters first. Hiring a corporate lawyer is often last on the to-do list. In fact, most businesses don't hire a lawyer until after they have a problem. That's not smart. Shrewd business planning means consulting a lawyer to identify potential problems. A good corporate lawyer helps you avoid problems before they occur. Dealing with legal issues is expensive and frustrating. Business owners can't expect to be familiar with every law that applies to Edmonton companies. That's why the most astute business owners get competent legal advice. Legal problems can show up in any size business. Keep reading to learn why you a lawyer for business dealings like contracts, partnerships, and employment is so important. When Should You Hire a Corporate Lawyer? The simple answer is you should hire a lawyer before you need one. Corporate attorneys know how to help clients prevent problems, and maintain their legal affairs. When you hire an attorney after a disaster, the lawyer spends valuable time and resources getting up to speed on your company's situation. They have to review company history and business practices. They must question and understand everything before they can guide you. A lawyer hired at launch, or long before the crisis already knows your business. An attorney who is familiar with how the company works, and what's at stake can act immediately. There won't be a delay, or added expense before the issues are addressed. Small business owners hire professional accountants and insurance agents without pause. You should hire your corporate attorney the same way. Set up a relationship so you are both ready if you need consultation or representation. If you're still unsure, here are ten reasons for hiring an attorney for your business. If you hire an attorney after you've been sued, it's probably too late. At that point, a good attorney may get the charges reduced, but they can't get rid of them. If you're proactive and put your business affairs in proper legal order at the outset, you may avoid the lawsuit. A corporate lawyer tries to preempt problems by including protections in the client's legal documents. For example, a well-defined agreement has clear information on everyone's rights and responsibilities. It addresses issues that may occur if something goes wrong. If you find yourself in a personal injury case a lawyer can help mitigate the damages. It may be an employee or a customer who files the lawsuit. Either way, the lawyer needs complete honesty from you so he can get the best result. If the employee or customer was hurt due to your actions, say so. It's better for your lawyer to learn the details from you so he can prepare your case. Doing businesses means entering into contracts. When a customer, employee or supplier requires a contract, ask your lawyer for advice on legalities. A lawyer knows the legal ins and outs and can review a contract to be sure your business is safe. It's easy to miss important points that could cause trouble later. One example of this is signing a contract that doesn't have a dispute clause. Without a dispute clause, your business could end up in a lawsuit. The dispute clause allows for mediation as a way to solve the issue. What if you have an executed contract, but the other party breached it? Your attorney can explain your legal options and responsibilities. In most cases, a corporate lawyer generalist can create your contracts. If the situation calls for a specialist, your lawyer can help you make that decision. That's another reason to have a strong attorney relationship in place. There's more to incorporating your business than paying a fee. You need a legal pro to help you navigate the process so you get through it without complications. 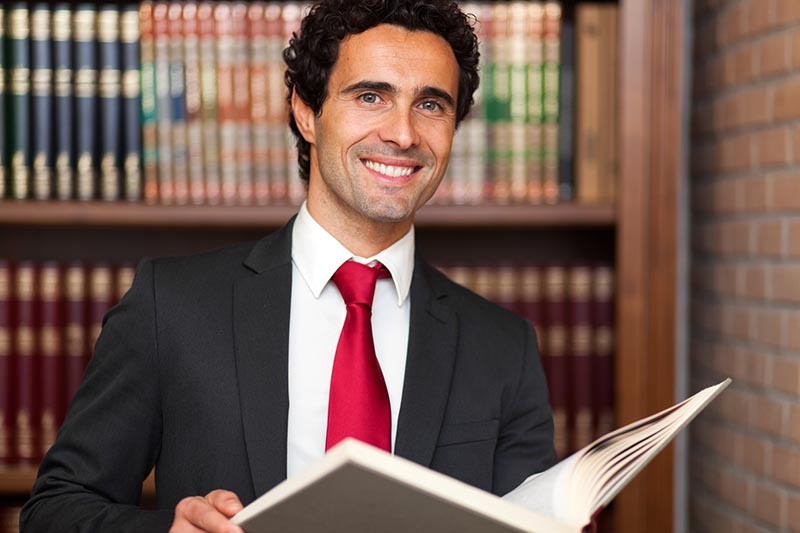 If you're not familiar with all the legalities, a corporate lawyer can guide you. The first step is to decide if the business is a sole proprietorship, a partnership, a Limited Liability Corporation, nonprofit or corporation. The type of business structure you choose determines your exposure to legalities like liability, tax obligations, setup fees, and other expenses. It also affects how you can legally fund your company. A consultation with an experienced corporate lawyer is vital for making the best decisions as you start your business. The attorney can help with documents as well as decisions. The government in Canada, Alberta, and Edmonton all have laws and regulations. Rules can differ between provinces. That's why its essential you consult with a lawyer who knows how to comply with the law. If any government entity investigates or files suit against your business, you need an attorney. The cause for an investigation varies. It may be a labor investigation due to an employee complaint. Or, perhaps there's a tax dispute. Your attorney can direct you on the best way to deal with any legal issues. You're probably aware that province and federal laws each have their own procedures. Each government has rules on construction, taxes, and more. There are additional regulations when your business has dealings across the country and overseas. You need legal expertise to guarantee your company follows necessary rules and regulations. You may feel comfortable researching regulations on your own, but it will take valuable time and effort away from your work. A lawyer knows the law. Hiring one at the start saves money in the form of time and potential legal problems. A corporate lawyer makes sure you are in compliance at every level of government. Unfortunately, employee-related issues are a major factor in any business. If a situation goes sideways you'll be short on money and help. But, if you have an attorney versed in employment issues, you can resolve problems faster. The place to start is with your hiring processes. A lawyer can help you avoid employment-related issues in several ways. No company wants an employee lawsuit. If you have a lawyer on retainer you can reduce the risk. Consult your lawyer when deciding whether to hire someone as an employee or an independent contractor. There are specific legal requirements for both. An experienced attorney knows how to stay in compliance with employment laws. If you hire an independent contractor, your lawyer can draft an agreement that suits your company. If you use an existing contract, ask the lawyer to review it before anyone signs it. Always consult an attorney before hiring or firing employees. You don't want to put your company, or yourself, at risk for a discrimination complaint. A lawyer advises on what you can and can't ask during an interview. He also protects your interests if you face an employee lawsuit. Have you designed a new product or service? If so, you must file for a patent to protect your interests. Patents are time-consuming. Sometimes they're hard to get approved in a timely manner without a lawyer's help. If your corporate lawyer isn't familiar with patents, get a referral for a specialist. An experienced patent attorney knows the ins and outs of the process. A lawyer with patent experience can help you get your patent in a reasonable amount of time. Legal issues arise with both buying and selling a business. It's more complicated than other everyday purchases. It's smart to have an attorney involved. A lawyer can help with valuation of the business. If you need agreements, permit transfers and licenses a lawyer can handle it. An experienced corporate lawyer can help you get the most value from the transaction. An attorney is useful during the sale. He can monitor proper stock transfers, vet buyers, and help to negotiate the deal. A corporate lawyer works to get the most value for your money when you're the buyer. Environmental issues are a big deal. Federal compliance standards are part of society working to save the environment. If you aren't aware of regulations your company could find itself in the middle of a lawsuit. Or worse, you could face a federal complaint. A business lawyer knows the issues on a local and federal level. He can help your company stay compliant so you avoid issues before they happen. If an environmental issue arises and you don't have an attorney, consult one right away. Issues can come from manufacturing, emissions, developing raw materials, or waste disposal. There are other ways you can encounter environmental issues. You may buy land and learn later that it has hazardous waste beneath the surface. You'll need an attorney to sue the seller for not disclosing it. The attorney will pursue your case so the seller pays for cleanup costs. It's important to note that engaging a lawyer before the purchase may have exposed the problem. You could have walked away from the deal, or made the sale contingent on an environmental cleanup. Either way, a corporate lawyer can save you time, money, and frustration. Legal documents aren't a DIY project. Sure, it's tempting to handle legal aspects on your own. Yet, it won't save you money if you don't fully understand what you're doing. In fact, trying to save money could end up costing a lot more in the form of a lawsuit or penalty. Consult a lawyer to structure your business properly and avoid legal problems. You'll be glad you can focus on your company instead of a court case. Let your attorney create and file all the documents required for your business. A good corporate attorney is a valuable asset to every business. If you haven't hired an attorney yet, consider it now. It's never to early to build a relationship with your lawyer so he's ready to assist when you need legal help. Remember, corporate law is complicated. Navigating corporate law requires a well-trained and experienced professional. You need a team to guide your company through any and every potential legal ramification. When you take proactive action towards potential problems, often you can avoid them. Don't wait to hire an attorney until you have a legal problem. Find the best lawyer for your situation. Study their website, review testimonials, and ask friends and family for referrals. If you need a corporate lawyer, contact the team at Verhaeghe Law Office in Edmonton. Our lawyers have years of experience in corporate law for both small and medium size businesses. From Federal Incorporation to Provincial Incorporation to Succession Planning to Builders Liens to contract review and drafting, with few exceptions, we can handle pretty much anything that comes our way. We look forward meeting with you and becoming your corporate lawyers. As an added bonus, when we become the registered office for your corporation, we will not charge for any personal guarantees, notary services or travel consent forms. This entry was posted in Corporate lawyer by verhaeghelaw. Bookmark the permalink.